Virginia Katherine McMath was born on July 16th, 1911 in Independance, Mo. Nicknamed 'Ginger', by family, she was said to have danced 'before she could walk'. Dancing in charity shows w/ her stepfather eventually led her to 'borrow' his last name 'Rogers' and thus, the legendary name was conceived. 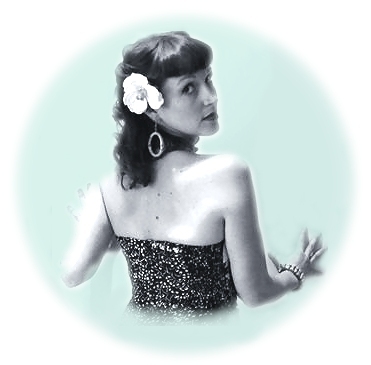 At the age of 14, Ginger won the Texas Charleston Championship and eventually went on a tour of the western States, leading another group of dancers and going by the name 'Ginger and the Redheads'. This resulted in her being billed for various vaudeville acts in Chicago and St. Louis, performing alone and stealing the show. In 1929 Ginger made her Broadway debut in the musical Top Speed, and found herself performing up to 8 shows a week in addition to making appearances in films for Paramount Pictures. Her first movie role was alongside Claudette Colbert in Young Man of Manhattan, in which she played a flapper at the ripe old age of 16. She didnt have much to say but her line 'Cigarette me, bad boy' became a much repeated phrase of the time. Though she seemed very young when she first starred with Fred Astaire in RKO's Flying Down to Rio, she was actually 19 films into her career. Their chemistry became legendary and the dance team made 9 films together for RKO and reprised their status as a leading couple in MGM's 'The Berkley's of Broadway'(1949). They created something that no one had yet, a romantic mood that was inherently believeable and that lifted the spirits unequivocally. And they did it through dancing. Though Fred Astaire seems to get 'top billing', when it comes to basic skill level, the words of Bob Thaves ring very true: 'Ginger did everything Fred did; only she did it backwards and in high heels'. Her dancing brought her great fame, but Ginger also wanted to be known as a serious actress. She starred in a number of quality non-musical pictures during the 1930's-1950's, including Stage Door,Vivacious Lady, The Major and the Minor, Monkey Business, and Lady in the Dark-films which placed her in the limelight and also set her opposite some of the industry's top leading men. She won an oscar for her role in 1940's Kitty Foyle, a performance that not only solidified her as a great actress but made her a heroine to working-women everywhere. By 1945 she was reportedly the highest paid female actress in Hollywood. Her style was breezy but still glamorous,something difficult to achieve. Many casual shots of Ginger involve her playing tennis, her favorite pastime outside of dancing, and these photos are often more memorable than the ones classified as 'starlet shots'. She had a grace and poise that couldnt be denied, even on the tennis court, and a youthful energy that stayed with her throught her life. She simply glowed, onstage and off. Whether wearing a pair of loose trousers or a sequined gown, she never seemed out of her element or off her game. Her love life may have been rocky (she was married and divorced no less than five times), but there was no doubt that Ginger knew who she was. She maintained a certain levity throughout her years and kept tirelessly busy. In addition to pursuing an acting career, Ginger also decided to try her hand at cattle ranching. For seven years, starting in 1945, she bred Guerney milk stock and started a modern dairy complex in Southern Oregon. There are still som strains of Ginger's breed of cattle in the area today. By 1965, Ginger was mainly performing on Broadway. She had an 18 month run in 'Hello Dolly! ', playing to packed houses, and a 14 month run in 'Mame'. 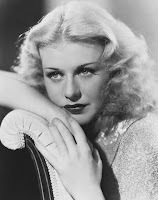 Rogers also made many appearances on television, including starring in her own special, and it was said that she assisted good friend Lucille Ball in overcoming her chronic camera shyness. Though she was known as an actress and dancer principally, it is also of note that Ginger was an accomplished artist; she adored painting and sculpting. Her work was sought after to the point that she was offered her own New York art show but she declined since she felt her work was not prolific enough for the attention. In the 1970s, Ginger devoted less time to her acting talents and focused on other endeavors, including a lingerie line she created for JC Penney. She also was an accredited spokeswoman and made a name for herself as such with several speeches concerning the American Bicentennial, speeches that were honored in Washington and even entered the Congressional Record. The 1980's didnt slow her down. She directed 'Babes in Arms' in New York and published her autobigraphy entitled Ginger: My Story. The book was a best seller and Ginger herself traveled thousands of miles to promote it, signing autographs along the way. When she finally died of congestive heart failure, at the age of 83, Ginger was an undisputed legend of the entertainment industry. April 25, 1995 would go down in history as a day of loss but also remembrance of a talented woman that never gave up.